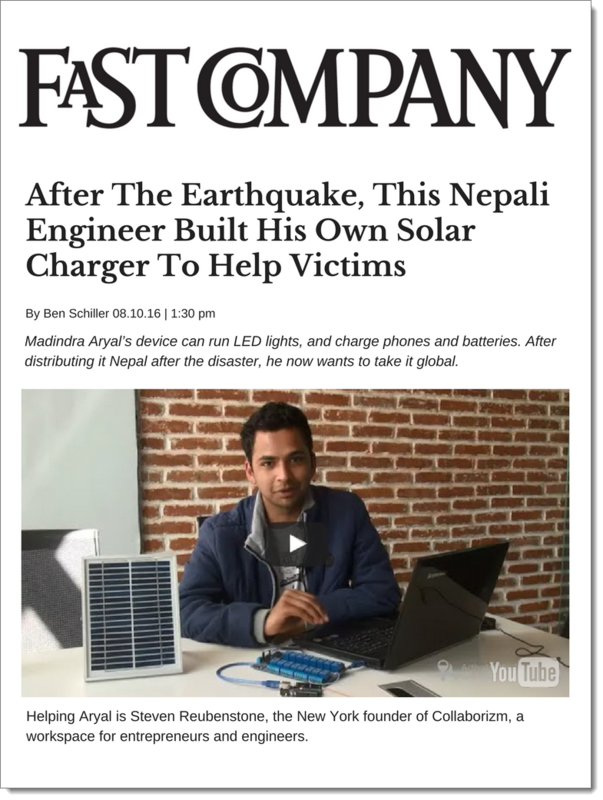 MadindraAryal’s device can run LED lights, and charge phones and batteries. After distributing it Nepal after the disaster, he now wants to take it global. 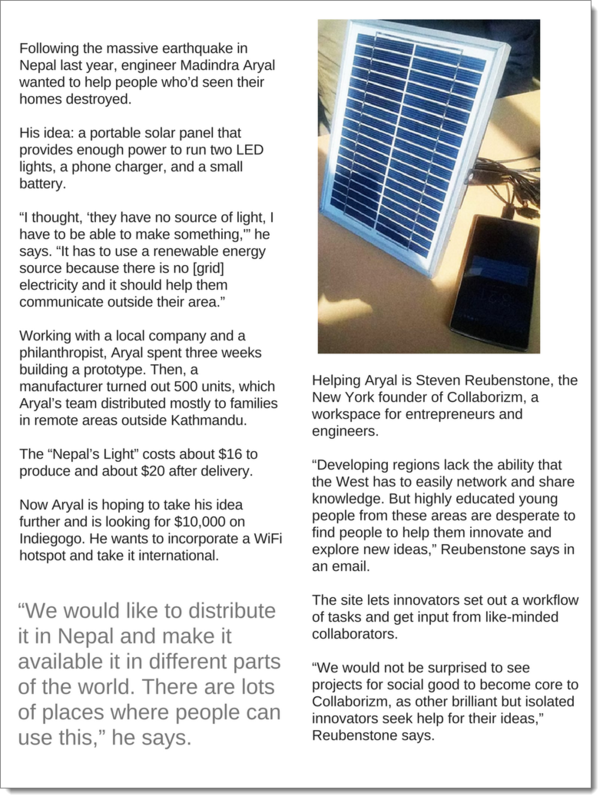 Helping Aryal is Steven Reubenstone, the New York founder of Collaborizm, a workspace for entrepreneurs and engineers. ​For the full list of verified media appearances for Collaborizm, click here. Collaborizm is a vibrant collaboration community of aspiring entrepreneurs, creators, and innovators, from around the world. Over 105,000 registered users, many from India and other emerging markets, participate on the platform by starting projects, joining projects, and helping others in the community develop their ideas and take them to market.